Twenty years ago I saved an article by Stephen Rechtschaffen, MD with the above title. It explained how we can pace our life to a more natural rhythm. The now familiar concept MINDFULNESS, in 1997 was not part of popular culture. We live our lives in a rhythm of speed- synched to our computers, cell phones, and constant stimulation. There is even a term FOMO- fear of missing out that is used to explain the way we relate to our technology which is causing sleep disturbance, stress and forcing us to constantly focus our attention to all this incoming information . Slowing down enough to give ourselves the most precious gift we have- TIME must be a shift we all try to make.By moving so quickly and intensely, we stuff our feelings down because it takes time to experience any feeling. We may be looking for distraction but constant pressure to accomplish or stay busy can be a strong source of stress. When we “time shift” to the present moment, we may feel pain and discomfort. However, the mindlessness that comes from not being in the NOW does not guarantee avoiding pain. There is REAL time and the way you perceive time. Just think about how time moves when you are watching a sunset. How do you perceive time when you are taking a walk in nature verses how you feel when you are waiting for an appointment or a train? 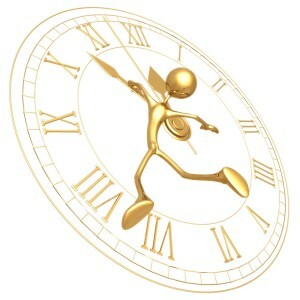 The clock ticks, but how we feel during those moments depends on how we think about what is happening to us. So how can you create reminders to shift time? The easiest way is to use your breath- the most important rhythm in your body. Stop and breathe three full breaths when you feel rushed or pressured. Try pausing before you begin any task. As far as your use of technology, create some boundaries for yourself. Make choices as to when you check your phone. Don’t let others set expectations about how you will respond to calls or e-mails. Even if work has expectations, sort out how you can moderate the pace. As much as social media is a form of connecting to others, passive reading does not lead to well-being. How much you actively engage can lead to feeling of connection, but as in all things, moderation is the key. FOMO( fear of missing out) is not a good motivator for any kind of behavior!!! A great way to engage in a more mindful way is to just take the time and notice what is happening to you. Allow yourself to take a fresh look at a situation. Can you find five new ways to see a familiar situation or a person you are having a difficult time dealing with in your life? Challenging your fixed assumptions will open you up to the present in a new light. Your health and healing are a delicate balance of rhythms. Change your rhythm to more closely align to the present and sync yourself to a better pace for your health.